At school just the other day we had a Master Chef Competition, or as my teacher calls it MC! It wasn't a real Master Chef thing it was just a bit like a cook off between 2 classes. I made 3 different dishes. I will show you one is this post and 2 others in different posts. Hope you enjoy. First you get 1 cup of sugar and 2 cups of water. Pour sugar and water into a pot bring to a boil and then simmer for 3-5 mins. Then you will need to put that in th fridge over night. In the morning grab out the liquid and put on a bench whilst you make your lemon juice. We used 5 lemons. But you will need 1 1/2 cups. First you heat up 2 lemons in a micro-wave for 1 minute. Be careful, they're hot. Now you cut one in half. It was funny because 1 our ones was stubborn and some off the juice flew out! Any way, so then you get out all the juice and by putting it in the microwave you will get more. keep doing this whilst your pour it into a measuring jug. 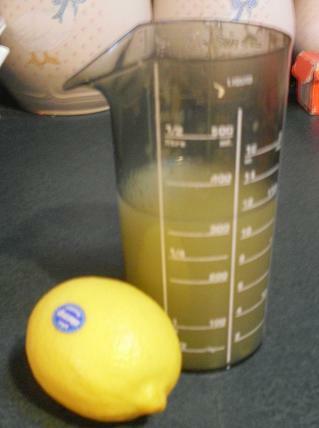 Pour the sugar and water & the lemon juice together and put back into the fridge. Now beat up 2 egg whites in a mug until nice and white. Get your lemon sauce out of the fridge now. Next, if you have an ice-cream machine pull it out and pour in the lemon sauce. after about 15 minutes pour in the egg whites. if you like you can colour the the gelati. If you DON'T have an ice-cream machine, get an empty ice-cream container, Pour in your mix but NOT the egg whites. 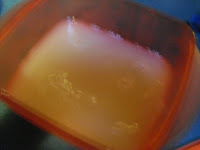 Put the lemon sauce in a freezer and every couple of hours pull it out and mash it with a fork, to see if it is frozen. when it is nearly frozen get it out of the freezer, get out the egg white and pour them in and give them a stir. Put them back in the freezer until it is frozen. We also made up little chocolate shapes. 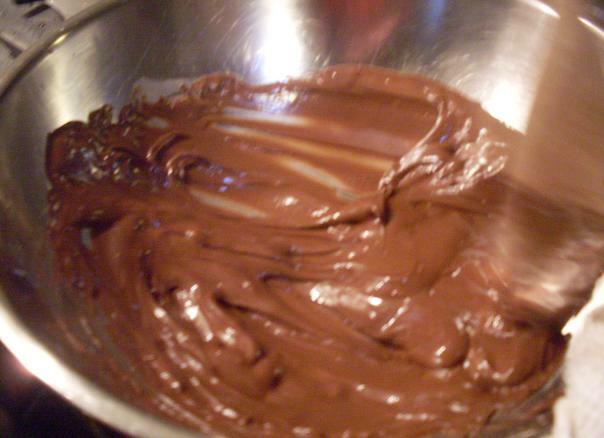 Heres a picture of the melted chocolate.